WORKSHOP by: EAAE Research Academy. Published: January 15, 2019. The Architectural Research European Network Association (ARENA), the European Association for Architectural Education (EAAE) and the European League of Institutes of the Arts (ELIA) are seeking to offer a joint platform for research in all fields of architecture, design and arts. This includes subjects such as environmental design, sustainable development, interior design, landscape architecture, urban design/ urbanism, music, performing arts, visual arts, product design, social design, interaction design, etc. One of the objectives is to support early-career researchers, PhD students and Postdocs in the fields of architecture and the arts, and to improve the quality of their research. Another objective is to show that senior researchers CARE about the work that is being done by more junior researchers. 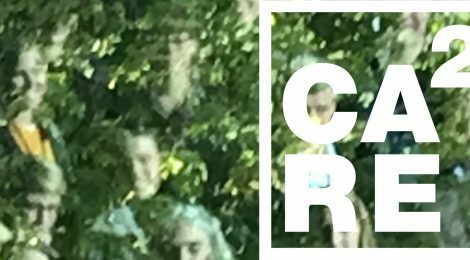 CA²RE, the Conference for Artistic and Architectural (Doctoral) Research will be hosted in April 2019 at the Lisbon School of Architecture of the Universidade de Lisboa, in association with ARENA, EAAE and ELIA. CA²RE Lisbon is organized by professors of Lisbon School of Architecture ULisboa. CA²RE is intended to bring together senior staff and early-career researchers to improve research quality through an intensive peer review at key intermediate stages. It wishes to contribute to the open and diverse fields that exist in architectural and artistic research, gathering all kind of approaches. The conference will support established research methods, but especially welcomes new and emerging fields such as research by design and artistic/creative practice. There will be a special focus on prototypes and artifacts. The event will invite researchers, at whatever stage of their research, to meet and participate in two-way discussions. Above all, CA²RE wishes to offer a lively, diverse and inclusive environment that brings together young researchers within a multi-disciplinary setting. Early-career researchers, doctoral students and post-docs can present their research project to experienced researchers and have their work discussed by international panels in these diverse fields. The Lisbon School of Architecture CA²RE event is the fifth in the CA²RE series, following the Ghent early-April 2017 initiative of the KU Leuven Faculty of Architecture, the second CA²RE conference at the University of Ljubljana, Faculty of Architecture, the third on April 2018 at the Aarhus School of Architecture, and the fourth on September/October 2018 at the KU Berlin Faculty of Architecture. Further editions will be hosted in other cities across Europe. The September/October 2019 we move back to Ghent, and in March/April 2020 our host is the Glasgow School of Art. List of previous and future CA²RE eventsList of previous and future CA²RE events. During this two-day event, the selected participants will present their PhD research for 30 minutes each, and then it will be discussed and peer-reviewed by an international panel (composed of senior researchers and post-docs) for another 30 minutes. The presentations can include the now traditional formats such as Powerpoint, Prezi, etc., but the organisers would particularly welcome other kinds of contributions such as prototypes, artifacts, exhibitions, performances, etc. Depending on the number of participants that are selected, parallel sessions will be organised if necessary. It is preferable that all participants attend the full weekend, including the Friday evening keynote and the Monday morning session on research methods for PhDs and supervisors as the conference is framed as a collective experience that will be important for the learning process and for networking.